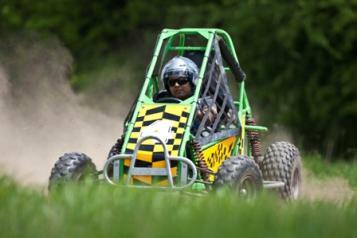 Feel the rush of adrenaline as you blast your way around the course just inches above the ground in these, low riding, high powered, off road buggies! They are incredibly exciting to drive and will definitely put a smile on your face. Helmets are provided and our experienced instructors and course marshals are on hand to ensure that participants stay safe. You’ll be fully strapped in by a three point harness and protected by a steel roll cage. Your team will be marked on timed laps of our course which requires precision driving as much as speed. This becomes a test of skill as well as courage. 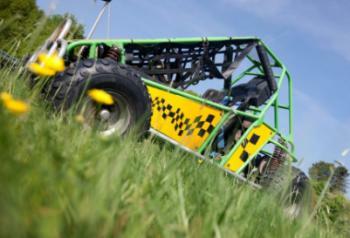 Our off road buggies are a popular option for any outdoor activity day including our Country Sports, Club Adrenaline and Motorised events. They’re also great fun on our Family Fun Days. Not all venues allow the use of motorised activities in their grounds, our event staff are able to give you a range of venue options near you.